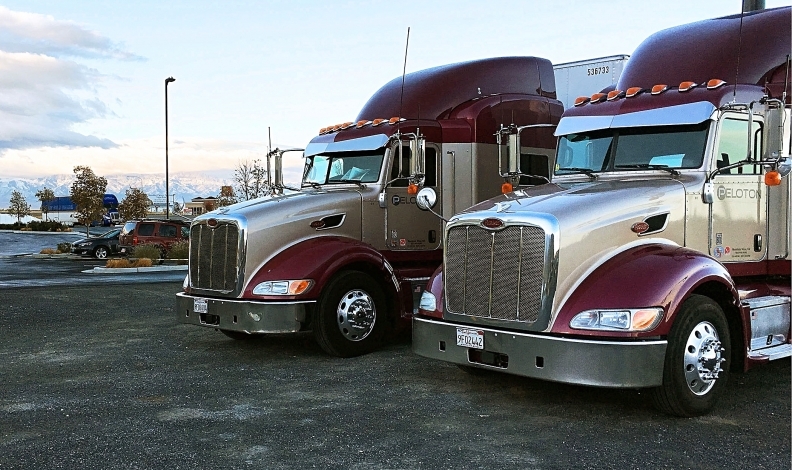 Next year, Peloton Technology will begin supplying packages of transponders and software to enable commercial shippers to form truck platoons. Canadian auto parts maker Magna International has a stake in a U.S. company developing vehicle-to-vehicle technology that would improve the fuel efficiency of commercial trucks. Vehicles linked electronically and moving in platoons is one of the more advanced objectives of autonomous driving. Vehicle-to-vehicle communications, which make platoons possible, received a big boost last week when the U.S. Department of Transportation (DOT) proposed a rule to mandate the technology in cars. But it is already about to move forward in commercial trucks. Cadillac has announced plans to equip its vehicles with transponders, but other automakers have adopted a wait-and-see approach. Uncertain now is how the proposed mandate will fare under the incoming Trump administration. Denso Corp., which has developed its own V2V data links, has taken a financial stake in Peloton. Other investors include Magna International Inc., Volvo Group, UPS Inc. and Intel Corp. When the system is activated, the rear truck automatically pulls closer to the lead vehicle, then maintains a gap of 35 to 50 feet (nine to 15 metres). Both drivers continue to steer their vehicles, while their cruise control systems adjust the speed.